As Kotor riviera is in the deepest part of the Boka Kotorska bay, there are no long sandy beaches which are characteristic of other parts of Montenegrin coastline. What makes this riviera special are numerous pontoons which give a special charm to the landscape. Many of these are in private properties, so if you make a reservation of an apartment in any of the beautiful palaces at this part of the coast-line, you will be able to enjoy a pontoon on your own during the day, and the calm of the beautiful Boka Kotorska during the night. This is a sandy -pebbly beach, 1000 meter long, 15 meter wide, the background of which has a natural attraction – the pulled in canal with a marine in the dry land part. The beach is situated on a cape, beneath the highway. The springs of drinking water where the old mills are converted into exclusive ambient restaurants, are next to the beach. Best accommodation in the vicinity to the Morinj plaža beach. Sunshine of Montenegro – This property is a 4-minute walk from the beach. Located in the lower part of Morinj, Sunshine of Montenegro offers modernly furnished and spacious apartments with a terrace overlooking the sea. The property features an outdoor swimming pool and free Wi-Fi. All apartments are equipped with air conditioning and a living room with an LCD TV with cable channels. Each unit has a full kitchen and a bathroom with a bath or shower, a bidet and free toiletries. The beach is a few steps from Sunshine of Montenegro. You can also use the barbecue facilities on the roof. Facilities : Free Wi-Fi Internet, Free Parking, Outdoor Swimming Pool, VIP Room Facilities, Terrace, BBQ Facilities, Car Hire, Airport Shuttle, Grocery deliveries (surcharge), Sea View. The Risan beach is situated in the part of the coast between Risan and Strp. It is a pebbly beach, 1000 meter long, 10 meter wide, and very convenient for medicinal tourism and recreation. There is the Teuta hotel nearby. Best accommodation in the vicinity to the Risan plaža beach. Apartment Toni Perast – This property is 1 minute walk from the beach. Set in Risan, this air-conditioned apartment features a terrace and a garden. The property boasts views of the sea is 40 km from Budva. The kitchen is fitted with a dishwasher. A flat-screen TV with satellite channels is featured. Other facilities at Apartment Toni include a children’s playground. Facilities : Free Wi-Fi, Free Parking, Picnic area, Beachfront, Terrace, BBQ facilities, Secured parking, Safety deposit box, Air conditioning, Kids’ outdoor play equipment. 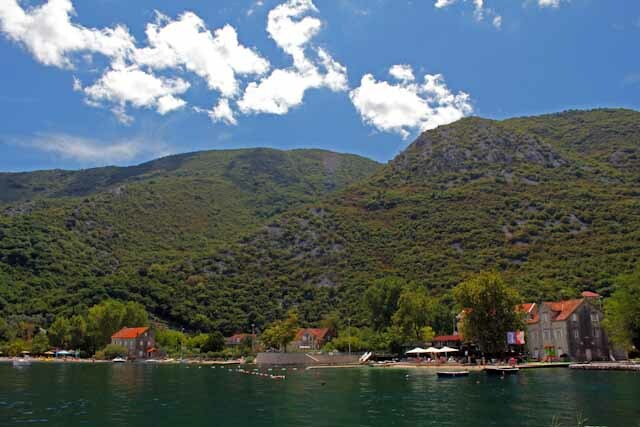 This is a very attractive beach and a favorite picnic place of the local people from Kotor. It was named after the legendary hero Bajo Pivljanin who built the tower to be his shelter in times between battles. It is situated on the way to Perast. 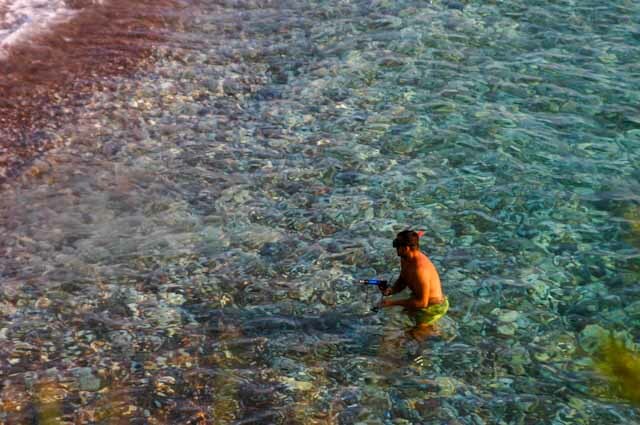 It is pebbly, 60 meter long, and the sea water is extremely clean and transparent. In the background of the beach, there is a dense greenery of laurel trees, the pleasant smell of which makes the experience of sunbathing and swimming complete. In a part of the beach there is a quay where the Kotor inhabitants and the lovers of this beach bind their boats. You can get here both from land and sea. Best accommodation in the vicinity to the Bajova Kula plaža beach. Apartments Krivokapic – Offering a sun terrace and a private beach area, Apartments Krivokapic is located in Drazin Vrt in the Kotor Region. Free private parking is available on site. All accommodation units come with a terrace, air conditioning, a dining area and a seating area with a flat-screen TV with cable channels. Some units have a balcony and / or patio with sea views. There is also a kitchen with an oven and a refrigerator. A hob and kettle are also provided. Each unit has a private bathroom with free toiletries and a hairdryer. Towels are provided. Guests can enjoy a meal in the hotel’s restaurant. Facilities : Free Wi-Fi, Free Parking, Terrace, Outdoor furniture, BBQ Facilities, Private Beach Area, Massage (surcharge), Car Hire, Ironing Facilities (surcharge), Laundry (surcharge), Breakfast options, Restaurant, Airport Shuttle (surcharge), Canoeing (surcharge). This is also a favorite vacation place of the Kotor inhabitants. The beach is sunny throughout the whole day and the sea water is crystal clean. It is near Kotor, on the way to Perast. It is pebbly, 1000 meter long, and what makes it distinctive is its environment – the harmonious unity of the coastline, the sea and houses built of stone surrounded by dense Mediterranean vegetation. The sea water is also extremely clean. The sea fields for growth of eatable shells are the proof of its purity. Best accommodation in the vicinity to the Orahovac plaža beach. J & P Apartments – This property is 2 minutes walk from the beach. Set in Kotor, J & P Apartments Orahovac provides 4-star accommodation with access to a garden and BBQ facilities. Complimentary WiFi is provided. Accommodation is fitted with air conditioning, a fully equipped kitchen, a flat-screen TV and a private bathroom with bath or shower and free toiletries. There is also an oven, fridge and a kettle. The apartment offers a terrace. A car rental service is available at J & P Apartments Orahovac. Facilities : Outdoor furniture, Terrace, Garden, Balcony, BBQ facilities, Sea view, Mountain view, Shuttle service (additional charge), Car hire, Laundry, Tea/Coffee Maker, Pets are allowed, Entire unit wheelchair accessible. This is one of the most famous locations for medicinal tourism and rehabilitation. There is a beach particularly built for this purpose, which is used only by the hotel guests. The beach is pebbly, 1000 meter long and there is the same named hotel complex of bungalow type nearby. Marco’s Cape is situated between Prcanj and Stoliv, in the Kotor part of the Bay. Best accommodation in the vicinity to the Marko’s Cape beach. Apartments Cosovic – This property is a 1-minute walk from the beach. Apartments Ćosović offers accommodation in Kotor. Budva is 22.5 km from the property. Some units have a seating and / or dining area. Some units also have a kitchen, fitted with a dishwasher, an oven, and a microwave. Each unit has a private bathroom with a shower. Towels and bed linen are provided. Facilities : Free Wi-Fi Internet, Free Parking, Private Beach Area, Bicycle Rental (surcharge), Airport Shuttle (surcharge), Pets Allowed. Bigovo valley also belongs to the locality of Donji Grbalj between Budva and Tivat. It is deeply pulled in the dry land and for such a position it used to be a fishing port which the fishermen used as their shelter from the storm. Nowadays, it is inhabited fishing place and a port. It is famous for the healing sand, which is found at the very end of Bigovo valley, and for a rocky beach, fine fish and fishing fiestas. Best accommodation in the vicinity to the Bigova plaža beach. Apartments Grispolis – Just 10 meter from the sea, Apartments Grispolis is set in Bigovo’s centre. Its guests can enjoy an on-site restaurant or relax at a private beach equipped with parasols and sun loungers. All accommodation units feature air conditioning and a terrace overlooking the sea. All studios and apartments comprise a kitchenette with a dining area and a private bathroom. Amenities include cable TV and a safe. The Apartments Grispolis’s restaurant features a terrace with a sea view and serves traditionally prepared fresh fish. A selection of hot and cold drinks is also available. Fishing trips can be organised with the owners. In addition to car rental that can be arranged on site, shuttle service is also provided at a surcharge. Free private parking is possible on site. Facilities : Free Wi-Fi, Free Parking, Sea View, Terrace, Airport Shuttle, Private beach area, Safety Deposit Box, Diving (Additional charge), Fishing (Additional charge), Car hire.